Last Sunday was a sad day for me. It's still a sensitive subject for me. Take a good look at the measuring glass above. It is one of my favorite possessions. 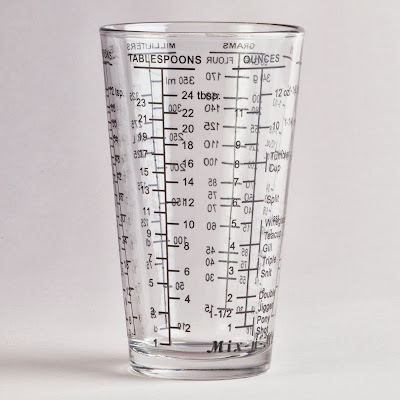 I use it quite often and, every time I use it, I think about how wonderful it is for measuring any amount you can think of from tablespoons to ounces to cups. Now, I know what you're thinking. It's glass. She dropped it and it shattered into thousands of pieces across her kitchen floor then one of her children stepped in the glass and cut his heel. That does make sense, but that's not the case. On Sunday, my husband decided to fix himself a tall icy glass of his beloved Mountain Dew. He took from the cabinet what he thought was his Salty Dog Cafe glass which is shaped exactly like my beloved measuring beaker. "Hmmm...the Salty Dog logo must have washed off." As I walked over to inspect the glass, I noticed one lone, faint measuring line near the top of the glass. 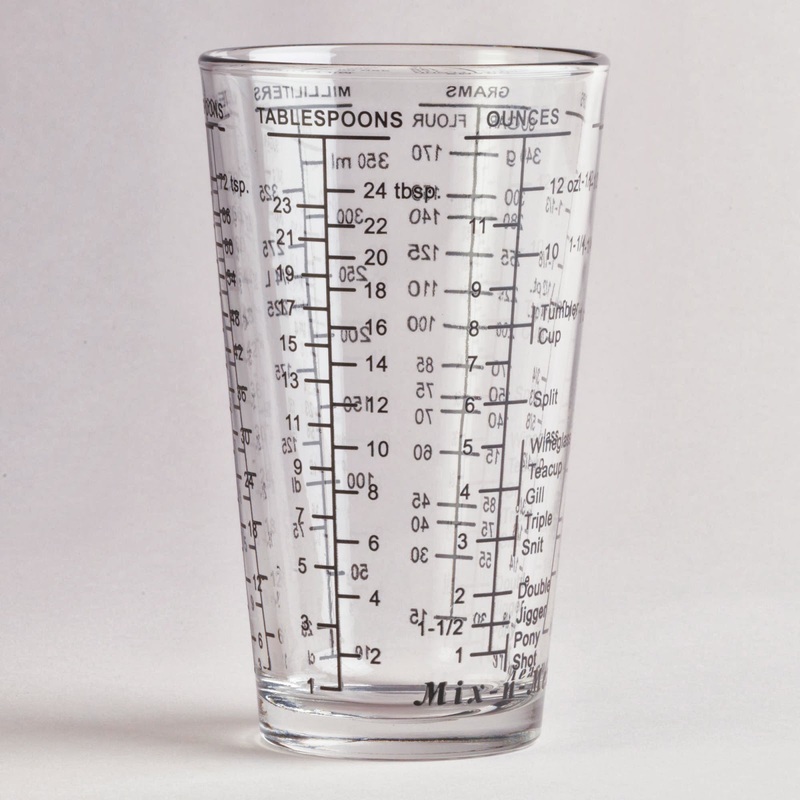 No, it was not the Salty Dog Cafe glass that had met its ruin, it was my...I repeat, MY measuring glass!!! Why?! ?